It is clear at this point that cloud computing is here to stay, with most industries not only moving toward the enthusiastic adoption of cloud applications for day-to-day operations, outsourced data processing, and the consolidation of mission-critical applications that allows a remote data center to put real CPU power behind any task your business needs to stay coordinated. Even with all the enthusiasm for centralized applications and their efficiency, though, there are still some significant impediments to getting cloud solutions adopted at many companies. Luckily, there are also key strategies for dealing with all three. With the advent of privacy laws like HIPAA and other restrictions on the way private data is handled, the need to be sure that any outsourced processes or remote systems handling company information are secure has become of the main concerns among those who are slow to adopt cloud systems. To allay these fears, concentrate on building an IT security plan that uses the best practices for reducing human error at the points of data entry and the most secure options for VPN tunnels, in-flight encryption, and other cutting-edge security refinements. With the right research and the proper development of a system, cloud security can maintain the same standards attained with local systems, especially when a hybrid approach is used to protect the information in your company’s private cloud from being accessed by through the public cloud hosting your applications. Very few organizations manage to upgrade their entire system at once, and that’s because it generally isn’t a very good idea to do that. On top of the costs, new systems require training, and trying to train an entire workforce from the ground-up in new procedures would bring most companies to a screeching halt. 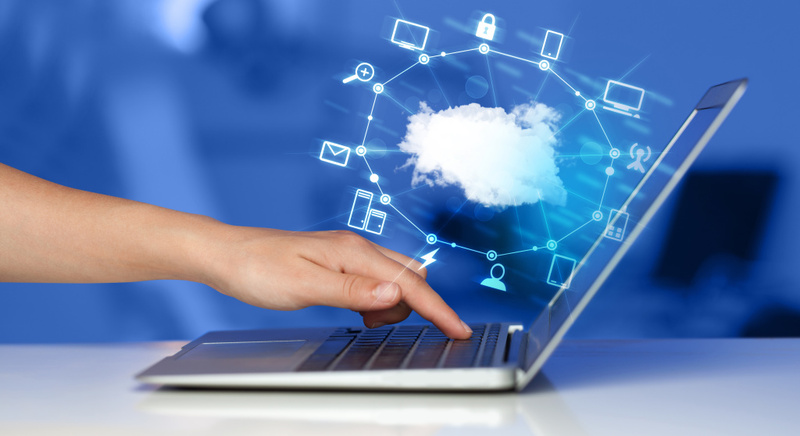 This makes legacy support a necessary part of any IT department’s approach, and it has traditionally also been a barrier to moving toward cloud applications. Developing a plan to phase out these legacy systems as much as possible while migrating the core components that must be kept to cloud operations provides a way forward gradually, with the same kind of long-term planning used to overcome security concerns. This is an area where the calculation may work out differently according to the structure and needs of individual companies. Generally, cost concerns have been the final hurdle to overcome when organizations move to the cloud, and that is because the cost of data center management and CPU use on-site is offset by the new cost of bandwidth brought on by cloud applications. A careful review of which processes are cost-efficient in the cloud and an approach that utilizes micro data centers to aid in the distribution of bandwidth-intensive processes smooths this out, though.